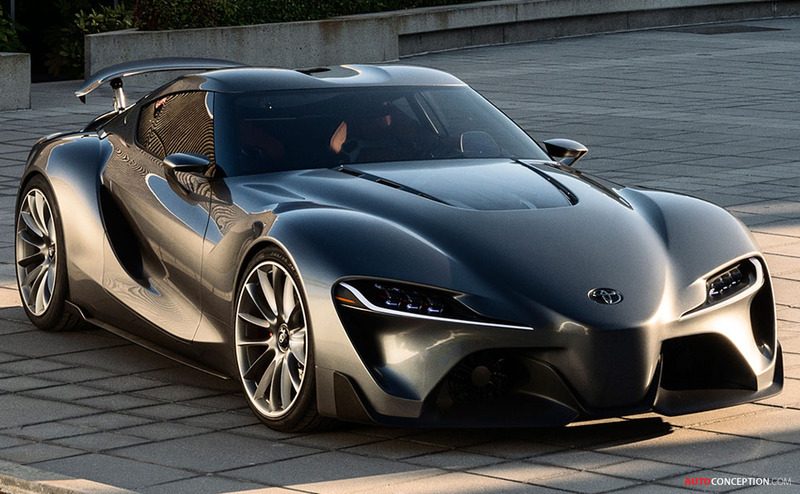 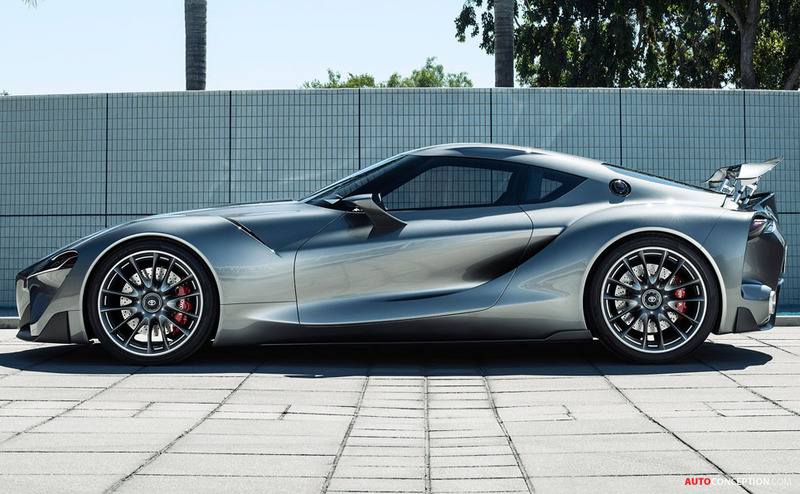 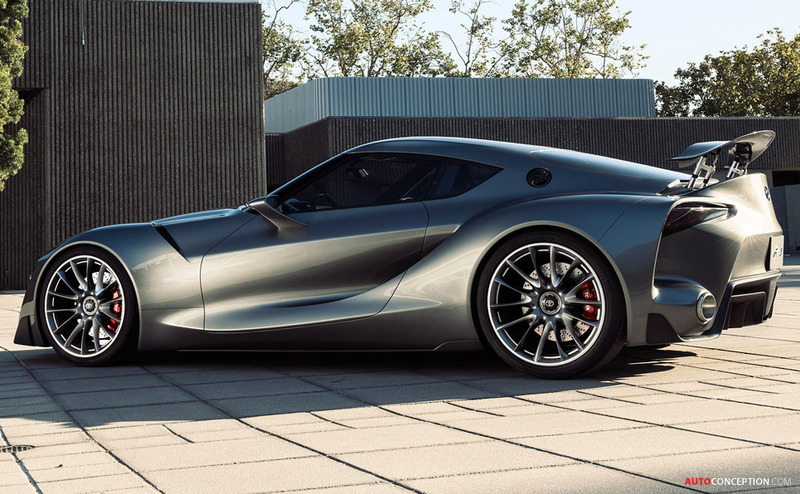 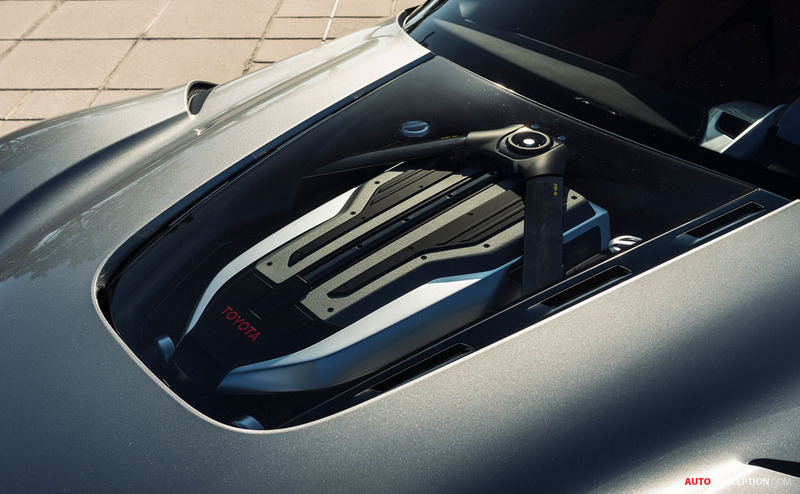 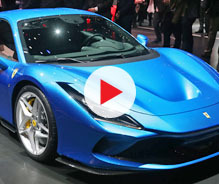 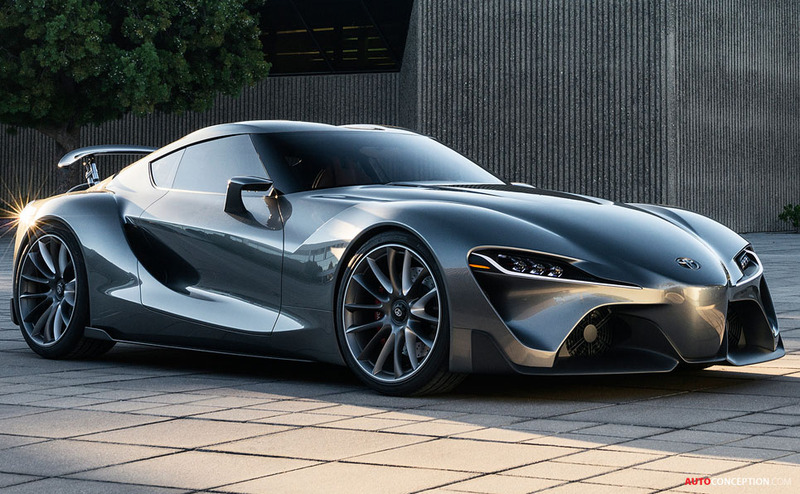 The FT-1’s basic shape and architecture have been augmented with the addition of extra cooling and downforce elements to develop the car into its Vision guise, using a design process CALTY dubs “function sculpting”. 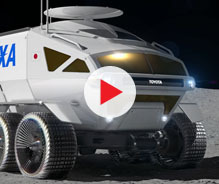 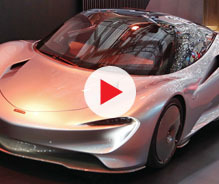 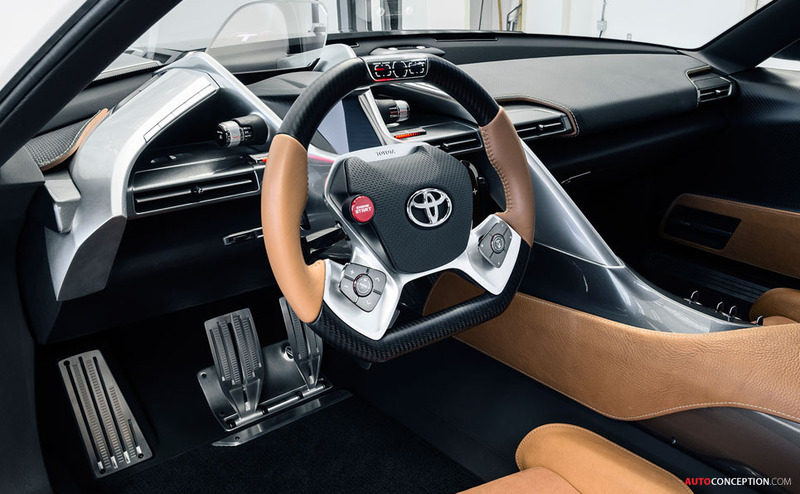 The designers say they studied real-world race tracks and race cars and applied their research to the styling exercise. 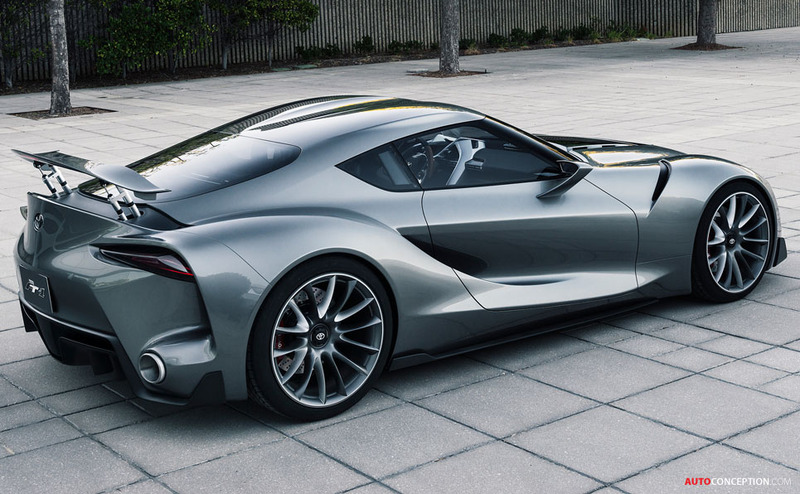 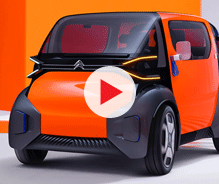 Details include wider wheelarches to accommodate the larger tyres needed for increased grip; enlarged air intakes for more cooling; and a larger rear wing and front Canard fins to generate additional downforce. 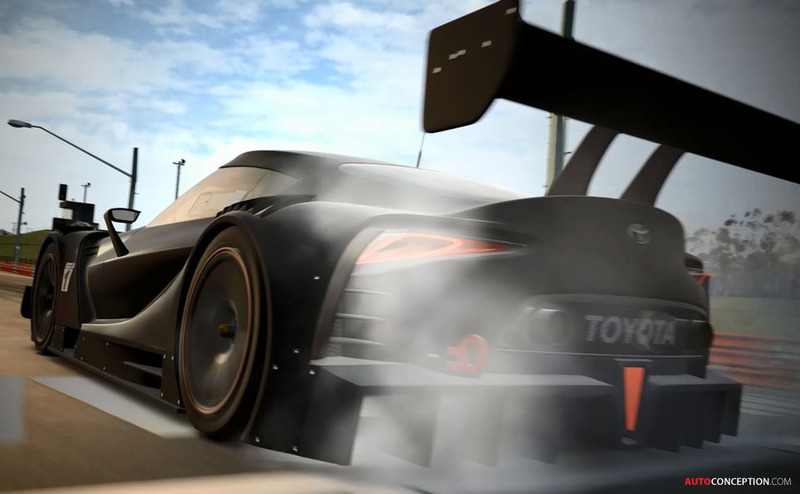 There’s also a bigger rear diffuser housing multiple fins, set further back to create a cleaner airflow. 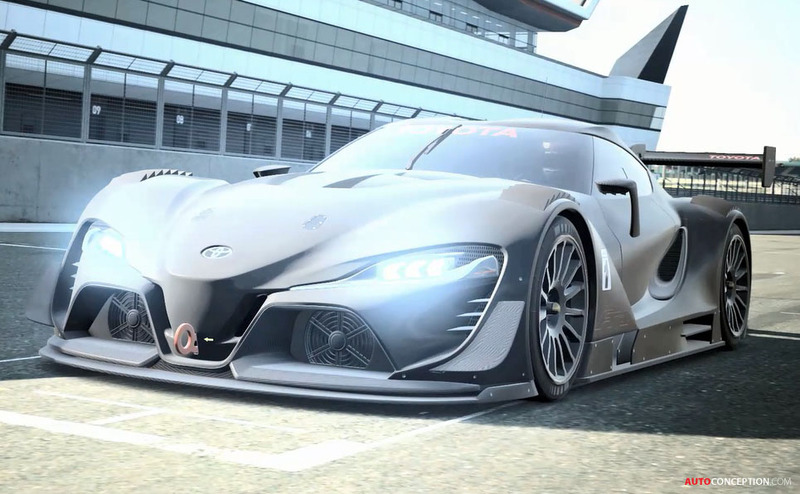 The FT-1 Vision Gran Turismo will be available for Gran Turismo 6 users from September. 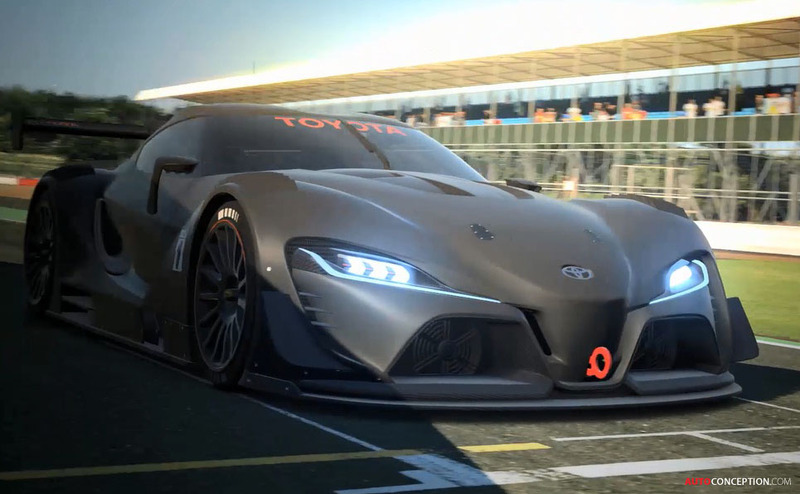 In addition to the Vision GT concept, Toyota has also revealed a new ‘real-world’ version that features new graphite paintwork in place of the red featured on the original concept. 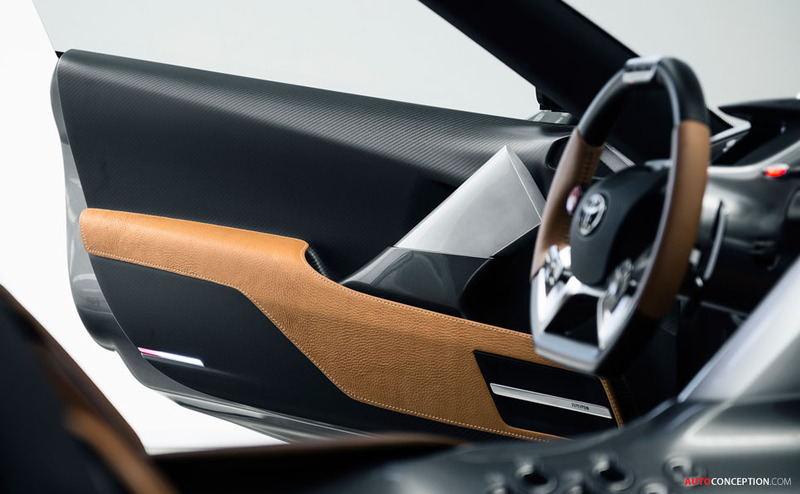 There is also a new interior treatment, with saddle tan leather elements. 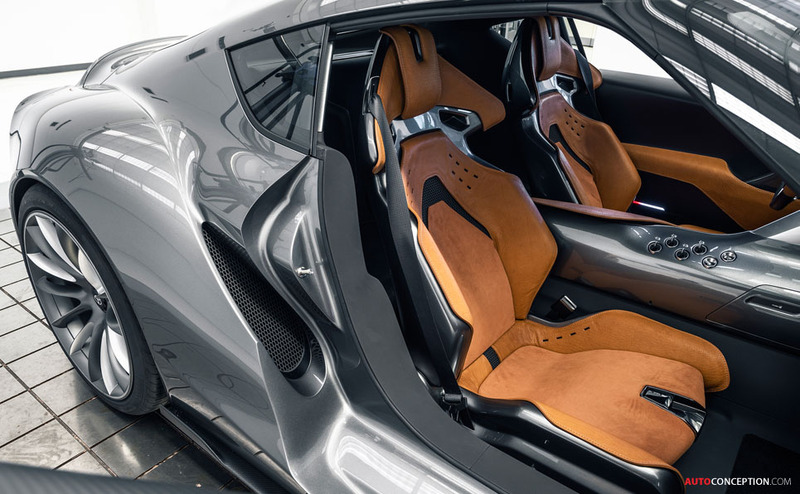 The FT-1’s interior designers say they drew their inspiration from modern superhero films, particularly their use of high-tech performance materials for the character’s costumes, as opposed to the bright tights and garish colours sported by more traditional characters.